We use single molecule detection and spectroscopy to study structural and optical properties and processes in organic and polymeric materials on nanoscale level. Single-molecule spectroscopy is an excellent tool for nanoscale characterization of soft and complex matter. Measuring light emitted by individual molecules reveals static and dynamic heterogeneities in the organic material and provides new insight into its structure, dynamics and photophysics on nanometer scales. 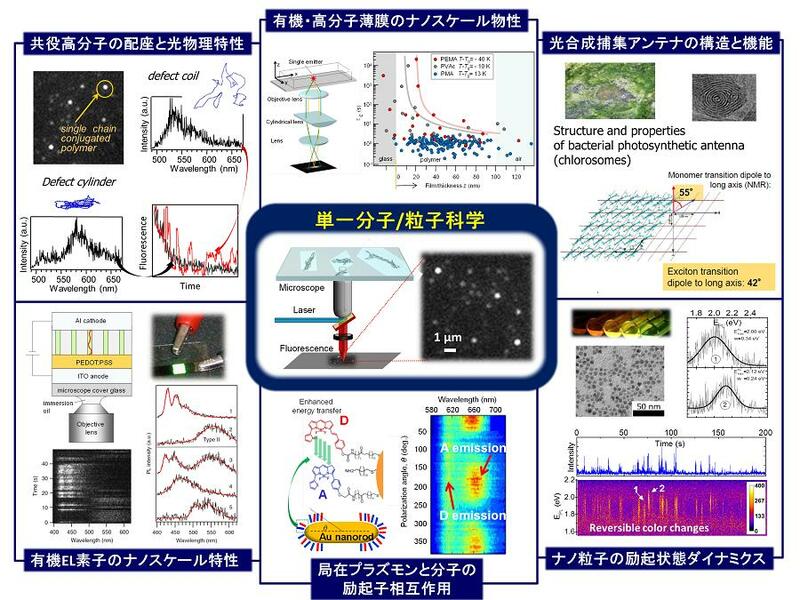 We are interested in the study of basic properties of materials with the perspective of applications in optoelectronic and energy conversion devices.